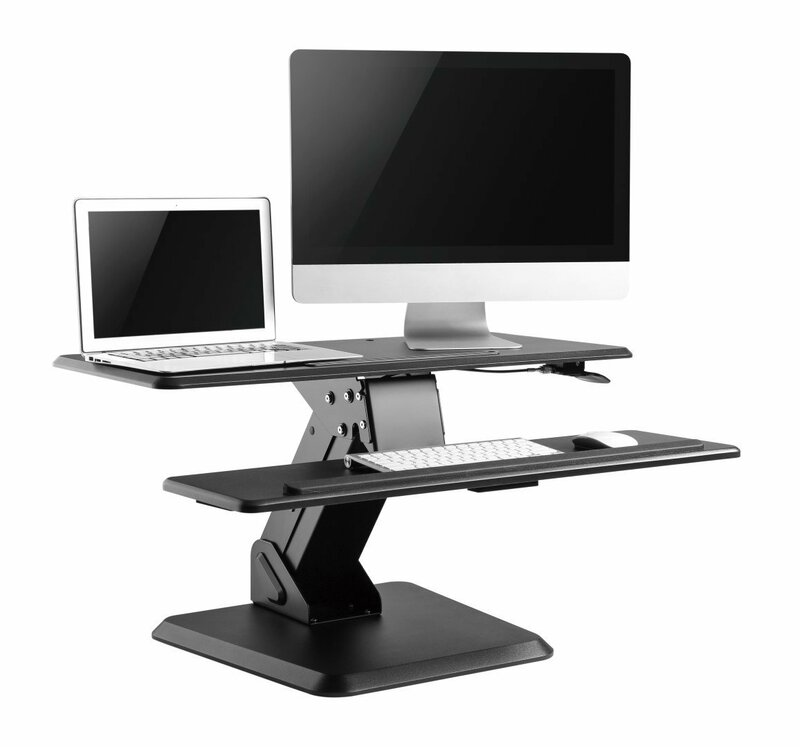 The extremely sturdy M-Lift sit stand desktop unit coverts every desk to a sit stand operation. There is no need to replace existing furniture and the preassembled unit allows for quick setup, straight out of the box. When you select a quality sit stand workstation, the first thing you want to know is whether the workstation is sturdy enough. Unfortunately, many sit stand workstations on the market start shaking as soon as you touch the worksurface. Other sturdy workstations aren't perfect either, they usually incorporate a large base, which squeezes your limited work space. The M-Lift utilises a small base and sleek figure to save space on your workstation, whilst still achieving optimum ergonomic output. Lever activated, the unit lifts up and away from you, ensuring true ergonomics are maintained even when in transition. The workstation is super sturdy while typing, adjusting height and writing and can support up to 15kg. The small base section allows it to fit on any desk, whilst the spacious worksurface and large keyboard tray ensures that you have plenty of room for workspace. The adjustable tension offers accurate, effortless adjustment and ensures you're only lifting a fraction of the weight of the unit.